NEST play meets EU safety regulations for toddler toys. 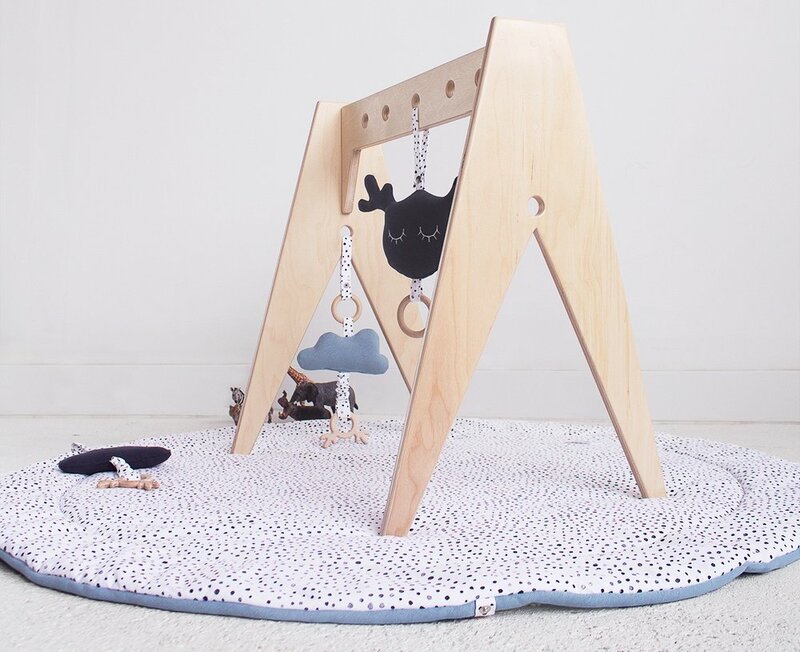 This beautiful baby gym is 100% handmade from birch plywood impregnated with natural and non-allergenic oil waxes . All surfaces are sanded by hand to achieve this smooth and delicate to touch finish.